$5999 Total Due at Signing Including 1st Payment, Tax, Title and License Fees, 36 Months, Security Deposit Waived. 7,500 Miles Per Year, 0.30c Excess Mileage Charge. On Above Average Approved 730+Credit through Land Rover Financial. 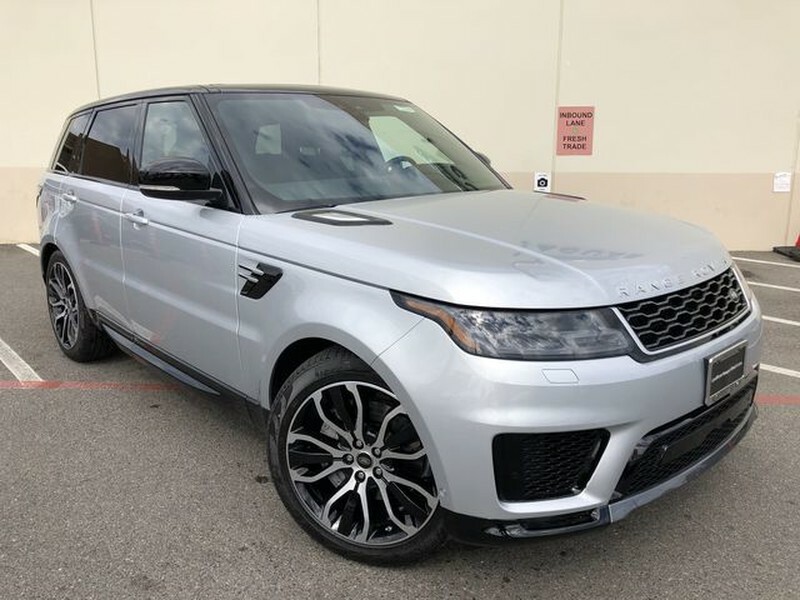 This 2019 Land Rover Range Rover Sport HSE is offered to you for sale by Land Rover Newport Beach. This Land Rover includes: INDUS SILVER METALLIC PREMIUM INT PROTECTION SLIDING PANORAMIC ROOF Generic Sun/Moonroof Sun/Moonroof Dual Moonroof EBONY MORZINE HEADLINING 16-WAY HEATED FRONT SEATS W/MEMORY Seat Memory Power Passenger Seat Power Driver Seat Heated Front Seat(s) Passenger Adjustable Lumbar Driver Adjustable Lumbar Bucket Seats FRONT CENTER CONSOLE COOLER COMPARTMENT VISION ASSIST PACKAGE Heads-Up Display HEATED WINDSHIELD W/HEATED WASHER JETS BLACK CONTRAST ROOF SOFT DOOR CLOSE WHEEL PROTECTION PACK W/CHROME LOCKS (PREFERRED) (PIO) Wheel Locks CD/DVD PLAYER CD Player MP3 Player HEATED & COOLED FRONT SEATS W/HEATED REAR SEATS Heated Rear Seat(s) Cooled Front Seat(s) Heated Front Seat(s) CABIN AIR IONIZATION 21 INCH WHEELS: 5 SPLIT-SPOKE GLOSS BLACK 'STYLE 5007' Tires - Front Performance Tires - Rear Performance *Note - For third party subscriptions or services, please contact the dealer for more information. * Want more room? Want more style? This Land Rover Range Rover Sport is the vehicle for you. Today's luxury vehicle is not just about opulence. It's about a perfect balance of performance, comfort and attention to detail. 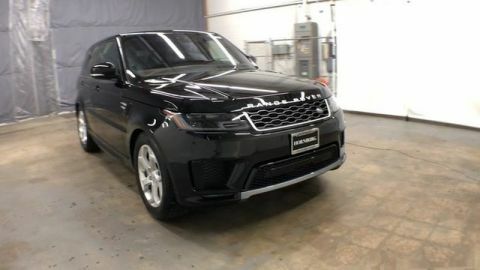 This 2019 Land Rover Range Rover Sport is the perfect example of the modern luxury. When Land Rover created this vehicle with 4 wheel drive, they immediately enhanced the performance ability. Easily switch between two and four wheel drive to take advantage of the improved steering and superior acceleration. Added comfort with contemporary style is the leather interior to heighten the quality and craftsmanship for the Land Rover Range Rover Sport Put away your phone and focus on the road, your new vehicle has navigation. 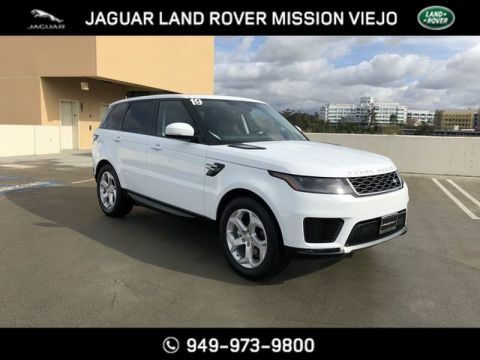 This 2019 Land Rover Range Rover Sport HSE is offered to you for sale by Land Rover Newport Beach. Want more room? Want more style? This Land Rover Range Rover Sport is the vehicle for you. Today's luxury vehicle is not just about opulence. It's about a perfect balance of performance, comfort and attention to detail. 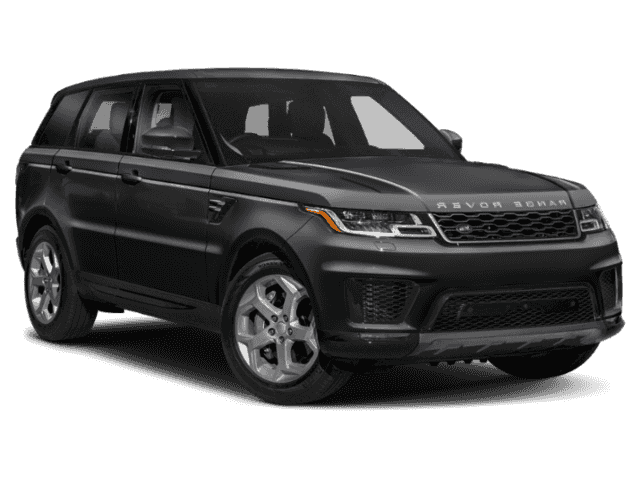 This 2019 Land Rover Range Rover Sport is the perfect example of the modern luxury.